We don't know how many times we have been sent the email that has gone around the globe at least 10,000 times by now, the infamous 'Congressional Reform Act of 2013' supposedly written by Warren Buffett himself. Don't get sucked in by this. 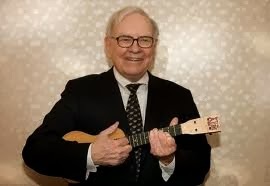 We seriously doubt Warren Buffett even knows how to turn on a computer or a laptop. He probably puts the mouse directly on the screen to try to navigate his way around the internet. The premise of this email is that Warren Buffett wrote it and started it on its way around the cyberworld of Planet Earth awhile back. Snopes.com (which we think is a bit fishy truth to be told in the first place) says that he did not start this email chain. 'I could end the deficit in 5 minutes. You just pass a law that says that anytime there is a deficit of more than 3% of GDP, all sitting members of Congress are ineligible for re-election'. This single solitary comment somehow has found its way to the top of this '28th Amendment' email chain known the world over. Somehow someway it has been morphed into some sort of Warren Buffetesque endorsement of the following 'law' or proposed 28th Amendment to the US Constitution. The man may have made himself and lot of his investors a lot of money over the course of his lifetime. However, he must have flunked 6th-grade civics since he fails to tell anyone how a sitting Congress would pass a law restricting their own ability to run for re-election. In short, this is just not a serious proposal to consider. We don't live in a dictatorship, you know, thank God. Not even Mr. Buffett or President Obama can, in the end, really tell any of us what to do. We have a difficult, tortuous democratic gauntlet to run through each and every time someone wants a new law passed. We should be grateful for that. For some reason, we have received this Buffett email today from 5 different people. Perhaps it is the anger at the government shutdown. Perhaps it is the anger at the President and Congress never getting anything of any substance done on the problems that face us as a nation. We 'get it' when it comes to understanding that people are angry. But this is not the way to go. In fact, this email is so off-base and wrong that we hope you will start an email chain of your own to send around to all of your friends and neighbors and post it on your favorite social network. Hopefully, enough people will read it and come to their senses and realize they have been duped by someone in somebody's else's basement, perhaps from Estonia or Latvia or maybe just California, who take special pleasure at seeing hard-working Americans waste their time reading such drivel. Sorry to be so harsh but we have answered this specific email hundreds and hundreds of times now over the past several years. This will be the last time we ever address it again. 'This would be a 'good idea'....except it ain't. 'The 26th amendment (granting the right to vote for 18 year-olds) took only 3 months & 8 days to be ratified! Why? Simple! The people demanded it. That was in 1971 before computers, before e-mail, before cell phones, etc. Of the 27 amendments to the Constitution, seven (7) took 1 year or less to become the law of the land...all because of public pressure. 1. Term Limits. 12 years only, one of the possible options below..
3. Congress (past, present & future) participates in Social Security. All funds in the Congressional retirement fund move to the Social Security system immediately. This is really off-base. Congressman and staff ALREADY PARTICIPATE FULLY IN THE SS SYSTEM AND HAVE DONE SO SINCE JAN 1, 1985! Tell the person who started this email to check his/her facts before sending this around the cybersphere. All future funds flow into the Social Security system, and Congress participates with the American people. SS is broke today, and so is Medicare....so is this really a good idea for all of us? THEY DO!!! IT IS CALLED THE FERS PLAN AND THE TSP...CONGRESSMEN AND STAFF CAN CONTRIBUTE UP TO 6% MATCHING FUNDS AND UP TO 10% OF THEIR SALARY INTO WHAT IS BASICALLY A 401 K PLAN, just like everyone on this email. Now that Obamacare is the law of the land, Members and staff are part of that plan as well. They receive a similar match to what they received before. If they didn't, then we would not have the 23-year olds who now make up the majority of staff on the House side; the 24-25 year olds on the Senate side. Get rid of any benefits, 401k plans and cut their salaries from $25,000 to $12,000 and all we would get would be the local 16-year old civics/political science high school students from local area high schools to work on Capitol Hill. Is that really a good idea? 7. Congress must equally abide by all laws they impose on the American people. Congress is covered by many of the laws they pass but they can't pass laws that may discriminate against other members, say, of the minority party in Congress and put them at a disadvantage in some way. That is why they are exempt in some of these laws they pass in the first place. We don't want them to write laws that impact their decision-making such as it is. 8. All contracts with past and present Congressmen are void effective 1/1/12. Please do NOT delete this but send it back through your email chain backwards until it gets to the numbskull who wrote it and maybe he/she will learn something today. 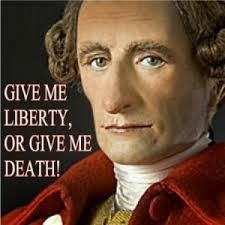 That is what Patrick Henry would write today if he was still around and was subject to such nonsense.....and so should we.